SSC CGL 2018 Exam: Hello Guys! Finally, the date of SSC CGL Exam 2018 has arrived. Staff Selection Commission of India has released SSC CGL 2018 online Application and Notification. 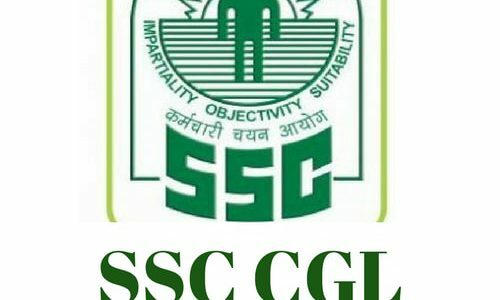 SSC CGL Notification has released on 5th May 2018 and the last date to Apply is 5th June 2018. Candidates can check the Official Notification on the official website – www.ssc.nic.in. This article will provide information regarding the SSC CGL 2018 Notification, Exam Date, Online Application, Eligibility Criteria, Admit Card and more. SSC Combined Graduate Level Examination is called as SSC CGL Exam. This is one of the most popular Government Job exams that is conducted by the Government of India every year. The Staff Selection Commission was established in the year 1975. Every year 30-50 Lakhs of candidates apply for this Examination. The examination is conducted to recruit staff to the various posts in ministries, departments, and organizations of the Government of India. Through SSC CGL Exam 2018, candidates will be selected for various Group B and C Posts. Every year 15-20 Lakhs of candidates appear the Examination and the final shortlisted and selected candidates work in the Ministry and various Government Departments. Assistant in Ministries/ Departments, Attached and Sub-ordinate Office of Government of India. Divisional Accountant, Jr. 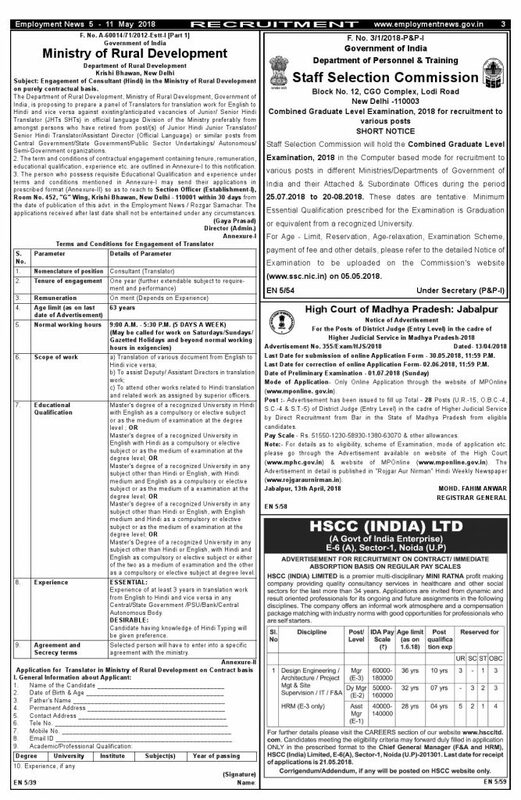 Accountant, Auditor, and UDC’s in various offices of Government of India. Auditor Offices under C and AG, CGDA, CGA, and others. Tax Assistant in CBDT and CBEC. The recruitment notification for SSC CGL 2018 will be released on 5th May 2018 by Staff Selection Commission India. The CGL Tier I Exam will be conducted on 25th July 2018 to 20th August 2018. The SSC CGL Tier II Exam will be conducted on 27th November 2018 to 30th November 2018. Last Year, 2017 the Official Notification was released on 16th May 2017 and around 8089 vacancies were released. So, candidates must start preparing for the Examination to get selected for the desirable posts. According to the latest update, the Combined Graduate Level Examination 2018 Tier I will be conducted on 25th July 2018 to 20th August 2018. SSC CGL is a popular examination in India. Every year 30-50 Lakhs of candidates apply for this Examination and 15-20 Lakhs of candidates appear the Examination and the final shortlisted and selected candidates work in the Ministry and various Government Departments. The table below is the SSC CGL 2018 Vacancy Details of the past 6 years and expected vacancy details of 2018. The Staff Selection Commission (SSC) conducts the Combined Graduate Level (CGL) Exam for the recruitment of Grade “B” and “C” Category Posts in various Government Ministries, Department, and Offices. The Exam is held in four tiers. The first two tier exams is held online and the last two tier exams are held offline. The complete registration process and communication procedure is held online on the Official website of SSC CGL. To get selected for SSC CGL, candidates have to qualify each stage of the Examination. The minimum age of the candidate must be 27 years and the maximum age of the candidate must be 30 years. Candidates should have a Graduate Degree and the candidates who are in the final year of the graduation are also eligible for SSC CGL 2018 with their provisional degrees. Essential Qualifications: Candidates must have a Bachelor’s Degree from a recognized University. Desirable Qualifications: Chartered Accountant or Cost and Management Accountant or Company Secretary or Masters in Commerce/ Business Studies/ Business Administration (Finance)/ Business Economics. Candidates must hold a Bachelor’s Degree in any subject with at least 60% marks in Mathematics at 12 standard level. Bachelor’s Degree at any subject with Statistics as one of the core subjects at Degree Level. Application Fees is exempted for ST/SC/PWD/Female/Ex-Servicemen Candidates. The Application Fees can be paid through SBI Challan/ SBI Net Banking/ Credit Card/Debit Card. If the candidate is making the payment through cash then he/she should take the printout of the challan that is generated online. Deposit the fee in any SBI Branch and then continue with Part-II Registration Process. The SSC CGL Application Forms will be available from 5th May 2018. The Application Forms will be available online on the official website. Candidates must provide correct and valid information. Before filling the SSC CGL 2018 Application Form, candidates must go through the Instructions. Search for SSC CGL 2018 Application Form and click on it. Make the payment online/through challan. SSC CGL 2018 will conduct the Examination across every part of India. Below is the list of the Exam Centers with Center Code. Candidates can check and select the desired examination center according to their suitability. The Staff Selection Commission (SSC) conducts Combined Graduate Level Examination that is held in four tiers/ levels. Tier I and II will be conducted online. The SSC CGL will have a Descriptive Paper of 100 marks with a time duration of 60 minutes. The Descriptive Paper (Tier-III) will be conducted in Pen and Paper Mode. It will be mainly on Essay/ Precis/ Letter/ Application Writing. The Tier-IV Exam is the Computer Proficiency Test/ Skills Test (wherever applicable)/ Document Verification. The time duration of Tier-I Exam is reduced from 75 minutes to 60 minutes. Paper I and II is compulsory for all the posts. Paper IV is only for the Post “Assistant Audit Officer”. There is negative marking for every wrong answer. 0.25 Marks will be deducted for every wrong answer. The Exam duration is 80 minutes for Physically Handicapped Candidates. The SSC CGL 2018 Admit card will be released online. SSC will release Admit card for every stage of the Exam. SSC CGL Tier I Exam Admit Card will be released on first week of July 2018. Candidates can download the SSC CGL 2018 from the Official website of SSC. The Admit Card is a mandatory document that has to be carried during the Examination. No candidate will be allowed to appear the Examination without an SSC CGL 2018 Admit Card. The SSC will release the SSC CGL Result in four stages after the completion of each exam. The candidates who qualify the rounds gets selected for the next round. The results will be available online on the official candidates.